Created to provide helpful information about the Illinois Cannabis Industry. To access the state traceability portal, please click here! Qualifying Conditions for Illinois Medical Cannabis Patients are determined by the state; you can petition to have conditions added to the list of qualifying conditions here. How can I get an Illinois Medical Cannabis Card? Minor Qualifying Patients – Please scroll down. Not be an active duty law enforcement officer, correctional officer, correctional probation officer, or firefighter. Registered medical cannabis patients must select a dispensary to purchase their medical cannabis from. Here is an updated list of registered dispensaries in Illinois. Physician Written Certification Physician Certifications completed on behalf of qualifying patients applying to the Illinois Department of Public Health, Medical Cannabis Registry Program, shall be provided to the applicant for submission with the application for a registration card. As of June 2018, Physicians no longer need to submit the Physician Certification directly to the Department via mail or email. Whether or not a physician chooses to provide a written physician certification is up to the healthcare practitioner. Illinois Qualifying Medical Patients must adhere to a background check, which is conducted using a Fingerprint Background check along with the submitted photo with your application. Does my condition qualify for Medical Cannabis in Illinois? How can a minor apply for Medical Cannabis in Illinois? Minors are subject to a $250 fee for a 3-year registry and are required to have a designated caregiver; one caregiver is included at no charge in the application. Patients may add a second caregiver for a fee of $750 by completing a caregiver application. Qualifying patients under the age of 18 are not required to submit a photo or undergo a fingerprint background check. A physician certification is required as well as a reviewing physician certification. If a qualifying minor patient turns 18 while their registry identification card is still active, they may apply for an adult registry identification card immediately or during the normal renewal period. If only one biological parent or legal guardian has significant decision-making responsibilities for the qualifying patient under 18 years of age, then a second designated caregiver may be identified. Caregivers of registered qualifying minor patients are only able to purchase medical cannabis-infused products from registered dispensing organizations; other types of medical cannabis products are not permitted. How can I become a Caregiver in Illinois? If your qualifying medical condition restricts you from being able to purchase cannabis by yourself, or you’re a qualifying medical patient under the age of 18, a caregiver may be designated to assist you with purchasing. Simply fill out a Designated Caregiver Application and submit the required documentation with your patient application. Patients under the age of 18 are allowed to register 2 designated caregivers for a fee. Illinois residents can contact the Illinois Department of Financial and Professional Regulation to inquire about obtaining a dispensary license. Currently, the state of Illinois has distributed the max number of dispensary licenses and there are no current plans to add more. The application window for cultivation center permits has closed. You can inquire with the Illinois Department of Agriculture for more information. Laboratories can test cannabis for concentration and contaminants. Prior to entering the consumer market, all regulated cannabis is required to undergo Quality Assurance testing. Established medical laboratories and cultivation centers in the state of Illinois can fill out the respective application below if they meet the requirements for medical cannabis testing. Laboratories are licensed by the Illinois Department of Agriculture. In Illinois, processing the cannabis plant into various forms of cannabis-related products is done by the cultivation center. 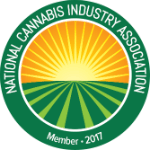 Illinois Department of Agriculture – Responsible for the licensing of medical cannabis cultivation facilities. Illinois Department of Public Health – Responsible for the Medical Cannabis Patient Registry program. Patients and caregivers can apply for their patient registry identification card through the IDPH. For the latest cannabis-related legislative updates on Illinois, check out our Cannabis Bill Tracker! ILLINOIS SUCCESS STARTS WITH CONTACTING US!